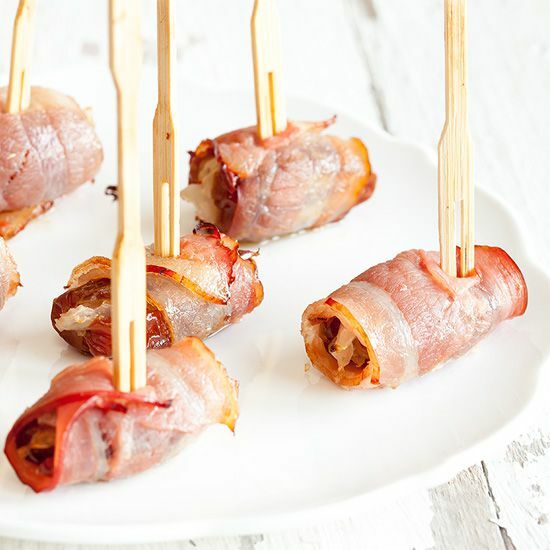 Fingerfood you've probably never tried before, bacon wrapped dates are sweet, sour and salty at the same time. Makes a party platter suited for ten people. 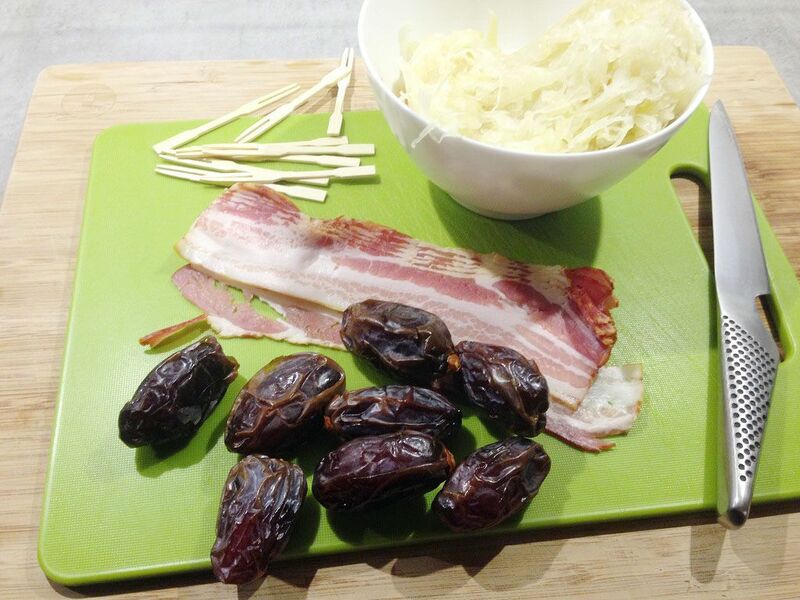 REMOVE pits from the dates, slice one side and add a little bit of sauerkraut in the middle. But why shouldn’t we use unpitted dates? The reason for this is that pitted dates are unprocessed, which means that flavors and structure are preserved. Unpitted dates are usually more moist, which is exactly what we are looking for! PRE-HEAT your oven so it reaches a temperature of 175 degrees celsius or 347 degrees fahrenheit. 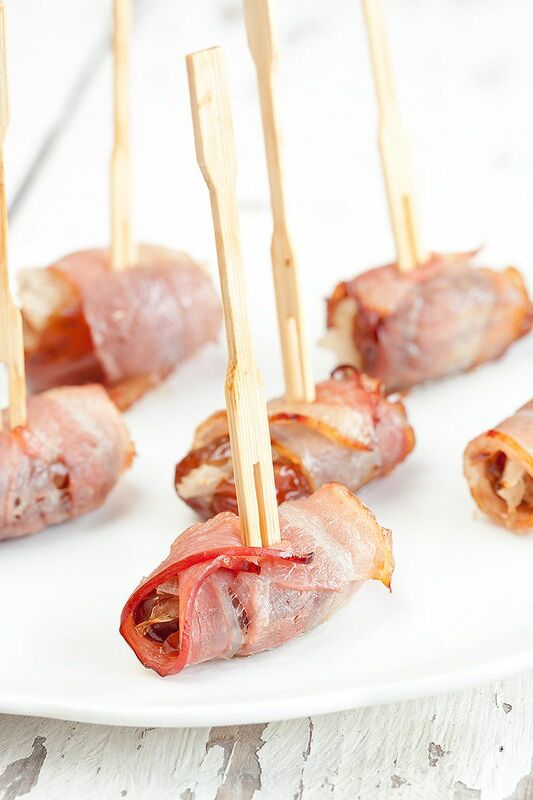 WRAP one bacon strip around each date and secure using a wooden skewer. This prevents the bacon from falling off while baking. The bacon seam should be placed facing downward on the sheet. Repeat for all of the remaining dates. LINE a baking tray with greaseproof paper and place the dates on it. BAKE the dates in your pre-heated oven for about 20 to 25 minutes, or until crisp. It’s hard to say how long exactly, because every oven acts different and every date can be more or less moist. Just check regularly, and you’ll be just fine. Let the dates cool off to room temperature before serving. They go well with almost any kind of beverage really, so enjoy! 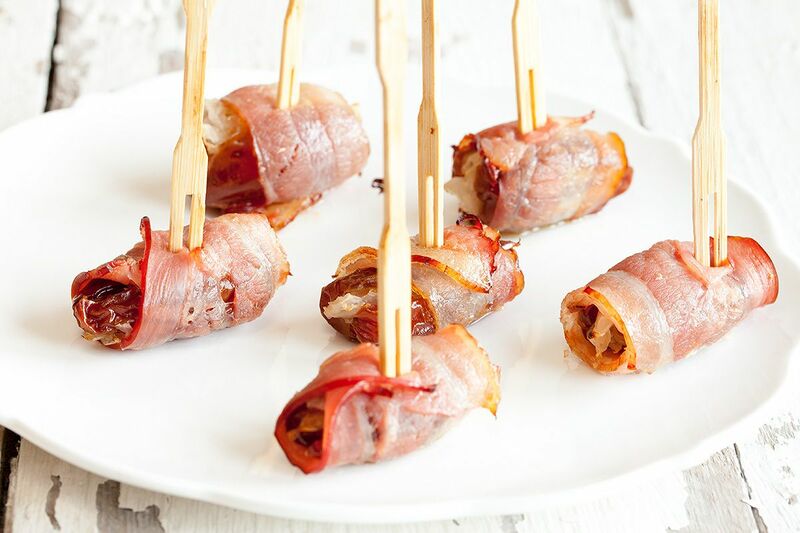 These bacon wrapped dates look SO delicious. I definitely will be making these – not as an appetizer or canape but all for myself!